Have you ever run out of ports to your application servers and wish you were notified? 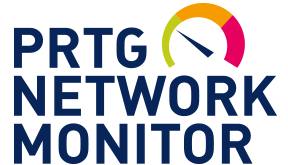 PRTG Network Monitor can alert you so you know in advance before your ports are all used. PRTG Network Monitor can help solve all of these issues for you. Our SNMP Traffic Sensors will monitor your overall device, plus each individual port so you get the detailed overall picture. In addition, PRTG Network Monitor can send you notifications so you know if your TCP/IP and UDP ports are available or not. Communication in every infrastructure relies on the network. If one switch runs out of ports then there is a server, client machine or a device that will not be able to communicate with the rest of the infrastructure. A breakdown like that can cause a delay in business and a loss of productivity or profit. With PRTG Network Monitor you can avoid being surprised with port exhaustion. 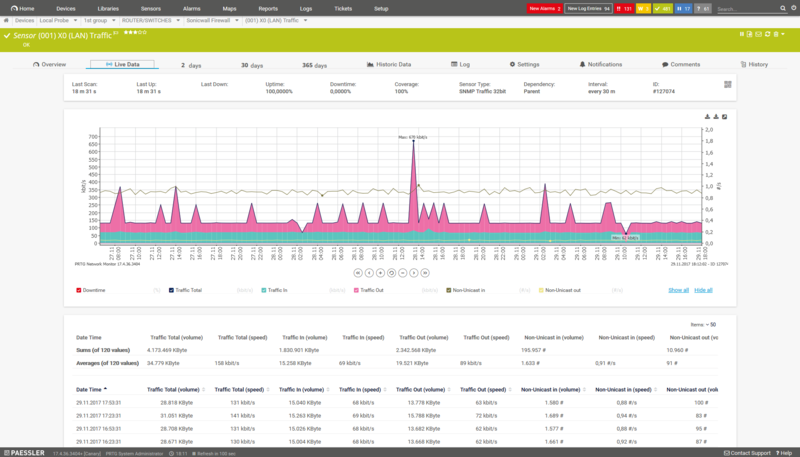 You can also monitor the bandwidth and usage of your switches and routers on a port-by-port basis. By default, PRTG keeps raw data for a year so you can track trends to help you optimize your infrastructure. It is always better to know about a problem before it happens rather than after and PRTG can help you do that. If you want to average or total the channels from various ports you can use the Sensor Factory Sensor to do calculations from several different sensors and report/alert on the averages or totals. The PRTG Port Sensor will monitor each individual port by connecting to its TCP/IP port number and you can configure PRTG to let you know if the port is open or closed. You can also send the port a command through a telnet session through the sensor and have PRTG check the response. The Port Range Sensor monitors and alerts on a range of ports on a network service or device. It can show the number of open ports, the number of closed ports, and the time it takes for the request to be accepted. You can also set alerting limits for the number of closed or open ports. Our SNMP server monitoring software really helps you doing your job and promptly notifies you if something is wrong. PRTG lets you concentrate on your day-to-day tasks with total peace of mind. PRTG is an easy and intuitive SNMP server monitor. 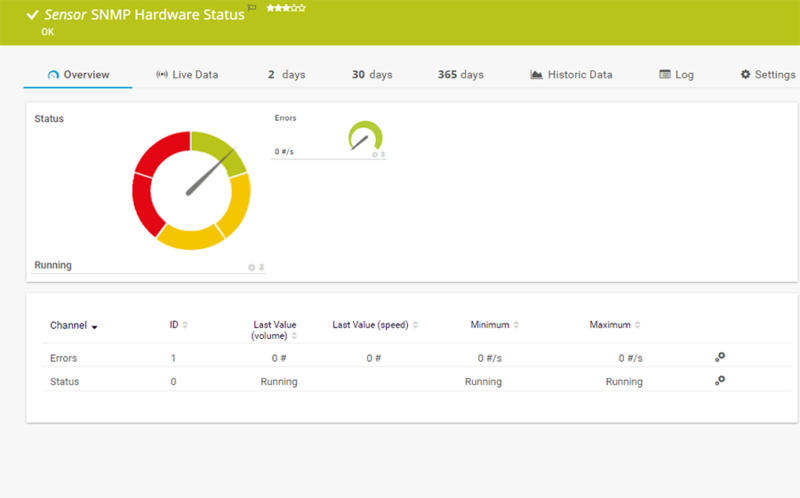 You get one central monitoring tool with which to monitor your network via SNMP and SNMP traps. 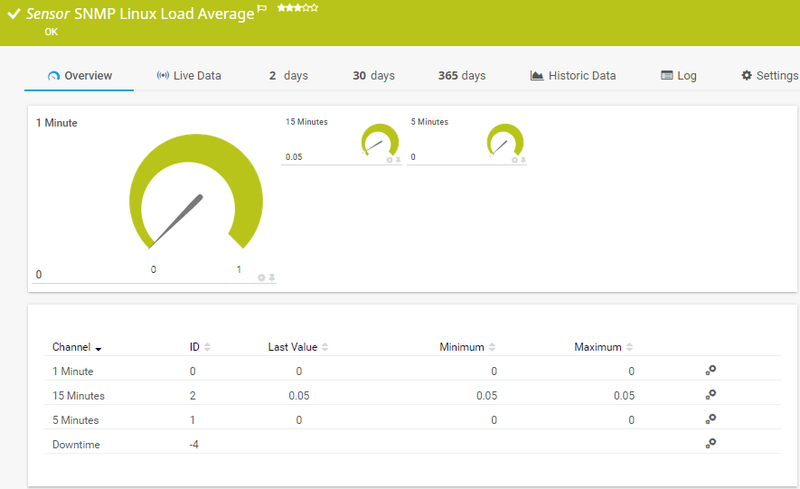 The dashboard provides a quick overview at all times - whether on your desktop or as an app. Setting up PRTG is quick and easy. Dozens of SNMP sensors are available as well as user-defined sensors compatible with the various SNMP versions and adapted to specific manufacturers. 80 % of our customers report substantial savings in the area of network management. And license costs pay for themselves in an average of only 3 1/2 months. Need more info? See our PRTG Manual for detailed configuration instructions. Markus Puke, Network Administrator, Schüchtermann Klinik, Germany. problems with SNMP Monitoring? Put the PRTG Tester to work! Having an issue with your SNMP monitoring? A sensor reports an error - but you can't see why? Use our SNMP Tester to get to the root of the problem. With this tool, you can make SNMP inquiries and obtain detailed log files. 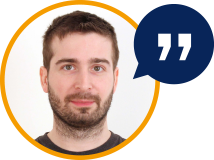 If you cannot find the bug, simply send the log files to our support team. In this way, we can help to solve your problem. What is an SNMP Community String? 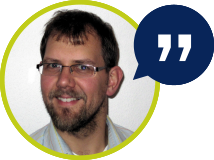 Luciano Lingnau works in PAESSLER AG's technical support department. Find out more on this topic by consulting his answer in our knowledge base. Paessler AG worldwide trialled PRTG in over 600 IT departments. The aim was to tune the network monitoring software closer to the needs of the administrators. The result of the survey: over 95% of the participants would recommend PRTG - or already had. Paessler offers a free, 4-part email course on how to use SNMP for network monitoring which will help you improve your network operations. 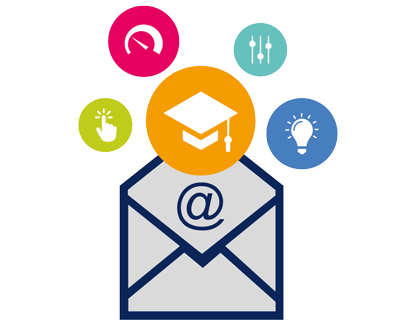 Sign up here for our free email coaching and learn to use SNMP in the best way. Made in Germany: The PRTG Network Monitoring Tool is the fruit of an engaged team. The company was founded by Dirk Paessler. The PAESSLER AG headquarters are located in the city of Nuremberg, in the heart of Germany. We combine typical German virtues such as high quality standards, industriousness, and commitment with international, cosmopolitan flair. Read more about our firm here. By the way: We are regularly looking for new recruits. Case Studies: Airports, utility companies, banks, colleges, hospitals: PRTG is present in every industry. For each of our customers, business and organizational processes depend on the proper functioning of the network infrastructure. The PRTG customer satisfaction is close to 100%. Read in our case studies how our customers use PRTG. Product tests: It goes without saying that we are convinced by the quality of PRTG. But what about the others? PRTG has always performed extremely well in tests. PRTG user “LanLine” sums it up best: “PRTG was already good several years ago, and has gotten better from version to version ever since.” Such has been our steadfast and sincere goal. 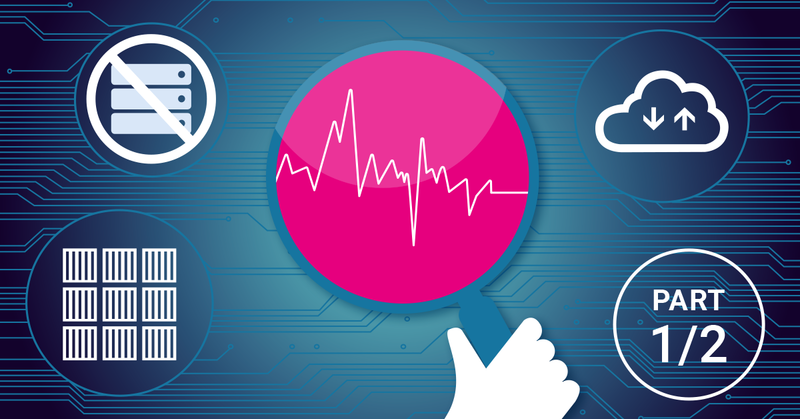 Read more about monitoring software product tests and comparisons here. Support: Our support team works hard every day to help customers solve their monitoring problems. Our goal is to resolve all inquiries within 24 hours (on business days). We've drafted a comprehensive manual and built up an extensive knowledge base featuring videos, webinars, and FAQs. All support, of course, is also included! Getting started is easy: The trial version is free, which means you can try our monitoring tool risk-free. To switch to another version of PRTG, simply search for an appropriate license. You can upgrade any time you like.